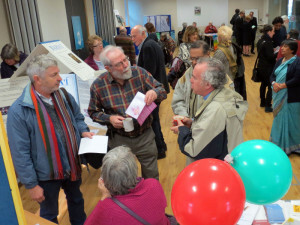 Torbay Interfaith Forum (TIFF) was established in 1982 to bring together people who are interested in learning more about the beliefs and practices of different Faiths. The Forum aims to foster greater understanding and friendship between people from varying Faith Communities and world views and to encourage among the general , a greater appreciation of the rich diversity of belief and practice within our own society and beyond. TIFF meets monthly.